The K2 F.I.T. 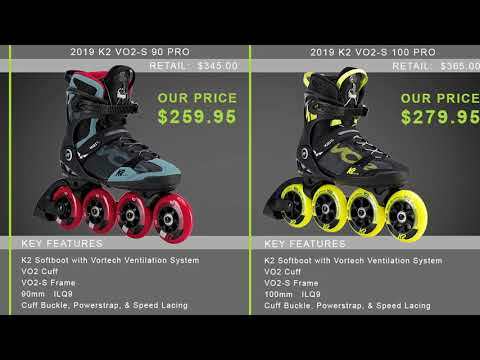 80 Boa Inline Skates teeter the line between ease-you-in beginner skates and fitness skates that perform and are budget-conscience. The F.I.T. 80 Boa offers K2's stability cuff for great support, making it easier for beginners to gain confidence as they will feel more stable on their skates. The Boa closure system allows you to securely fasten the skates quick and easy. The F.B.I. (Frame Base Interlocking) frame is a performance composite frame offering many of the same features as an aluminum frame while absorbing more impact, making it a great choice for beginner skaters. The K2 softboot offers great arch support and is comfortable enough to take on long skates without soreness. The K2 F.I.T. 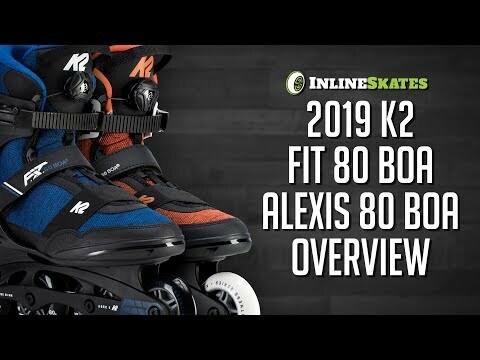 80 Boa Inline Skates is ready to help you start skating or to take your skating to the next level. Q: Hi there! I'm a woman's 8.5 sneaker on the wider side- can you reccomend a size I should order in these? (I recently purchased a woman's 9 in zetrablade and have to return them as they are too big in the front) Your input is much appreciated! A: These are men's specific skates so they are going to be wider than the women's skates and you'd want to drop a full size from your shoe size so a 7.5 would be accurate. If you don't have a wide foot where you typically need to buy wide shoes I'd probably say to just go with a women's specific skate and get it in your proper size.